There are about as many senior citizens in Westport as school-age children. But you can’t lump all our older folks together, any more than you can say kindergartners are the same as, um, seniors. The men and women who frequent our Senior Center — formally known as the Westport Center for Senior Activities — range in age from 60s to 90s. Some come nearly every day; others regularly, or infrequently. They head to the handsome downtown building for a variety of reasons: Fitness, aerobics, Pilates or yoga. Discussions and lectures. Meet longtime friends, and make new ones. Parkinson’s support groups. Lunch. Use computers. Play pool, bridge, poker, Scrabble or ping pong. Paint, sculpt or sketch. Read. Help with taxes, financial planning or Medicare options. Parties. Movies. Blood pressure screening or flu shots. Find companionship, and a community. A Senior Center lecture draws a typical full house. Our Senior Center is one of the most popular, well organized and best staffed in the country. But growth — up to 350 people a day — has created a critical need for enhancements. In 2007, town planners predicted the Imperial Avenue center would run out of space in 2011. The recession forced improvements onto the back burner. For the past 7 years, they’ve been part of the 5-year capital forecast. On Wednesday, May 17 (8 p.m., Town Hall), Senior Center representatives will ask for $3.9 million for enhancements. 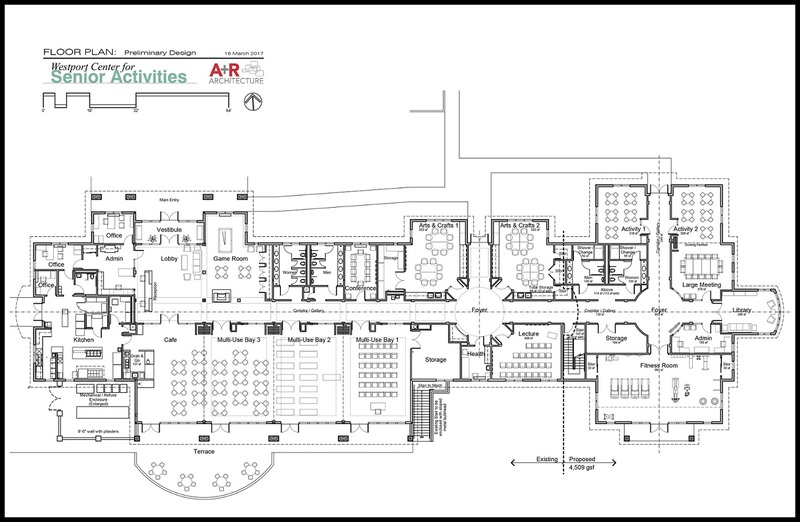 Plans for the enhanced Senior Center. Click on or hover over to enlarge. The Senior Center — run under the umbrella of the Human Services Department — has been around since the mid-1980s. Originally one room in the YMCA’s Bedford Building, it expanded when Greens Farms Elementary School closed (space there was shared with the Westport Arts Center). Much has changed since then. Closing hours were lengthened and Saturdays added, to accommodate seniors who still work. Westport’s 60-plus population has risen dramatically — and they’re living longer. 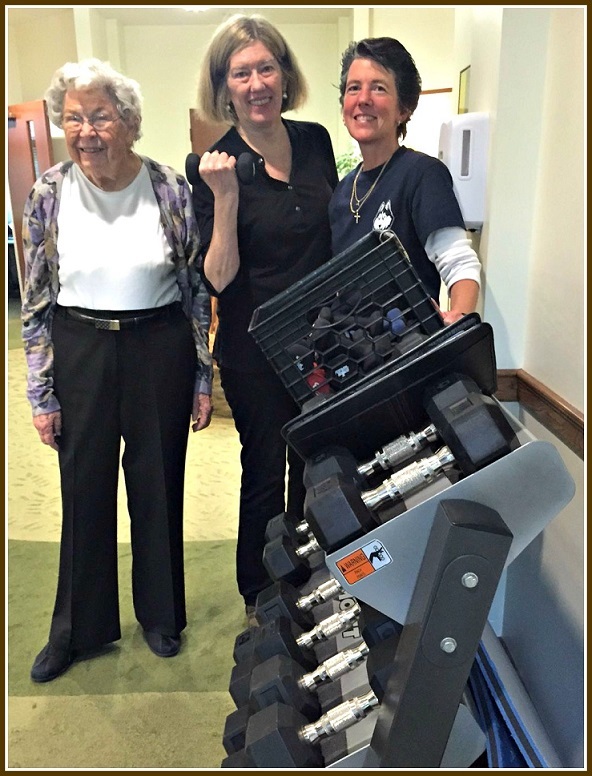 As the Senior Center expanded its programming, more men and women attended more often. There’s no more room for some activities. Four times a year, when registration opens for popular classes like yoga (gentle, regular and intense levels), the line forms at 6:30 a.m. The small fitness area was filled to capacity on Saturday morning. The other day, Pfister joined Enhancement Committee chair Lynn Goldberg and member Martha Aasen to explain the $3.9 million request. More room for existing and new programs. Space to socialize. “Many people meet friends here; they don’t go to each other’s homes nowadays,” Pfister says. Meals to go (the Center serves 11,000 lunches a year — but for some seniors it’s their only real meal of the day). Flexibility to adapt to changing future needs. “There’s a whole group of ‘new elders’ coming down the line,” 87-year-old Aasen notes. (From left): Martha Aasen, Lynn Goldberg and Sue Pfister. Fitness equipment is stored in the hallway, because there’s no room anywhere else. The 2nd element is parking and transportation. “If people can’t get here, our great programs are worthless,” Goldberg notes. For popular events, people now park as far away as Colonial Green. “Senior-friendly” enhancements include more spots closer to the entrance, eliminating inclines, and adding ramps. A rendering of the proposed Senior Center building. The Senior Center is a Westport jewel. And it’s not just for seniors. Pfister is a huge proponent of intergenerational activities. Staples students volunteer there (one particularly popular activity: iPhone and iPad training). STAR delivers meals. The Senior Center often partners with the Library and other town organizations to sponsor programs. 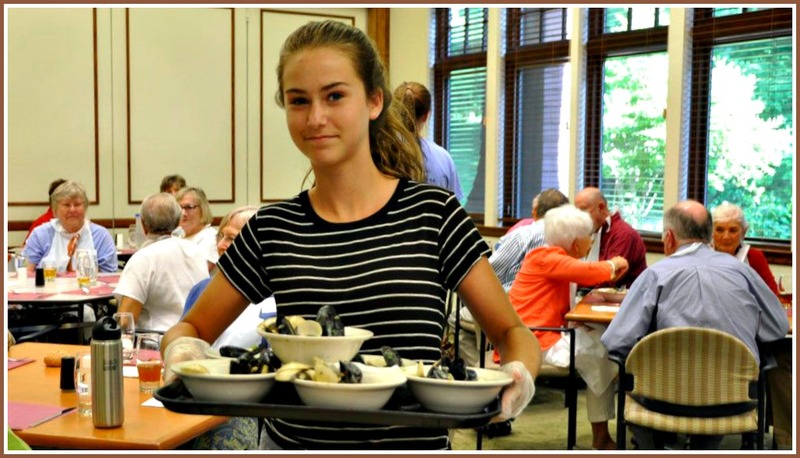 A young volunteer at the annual lobster/clambake. The Senior Center serves 11,000 meals a year. For some, it’s their only real meal of the day. The proposed enhancement would enable the addition of “grab-and-go” meals. She is excited about a new, upcoming activity. Suzuki has offered to run a course. Pfister must decide between violin or voice lessons. Why not both? I ask. “There’s no room,” she says. 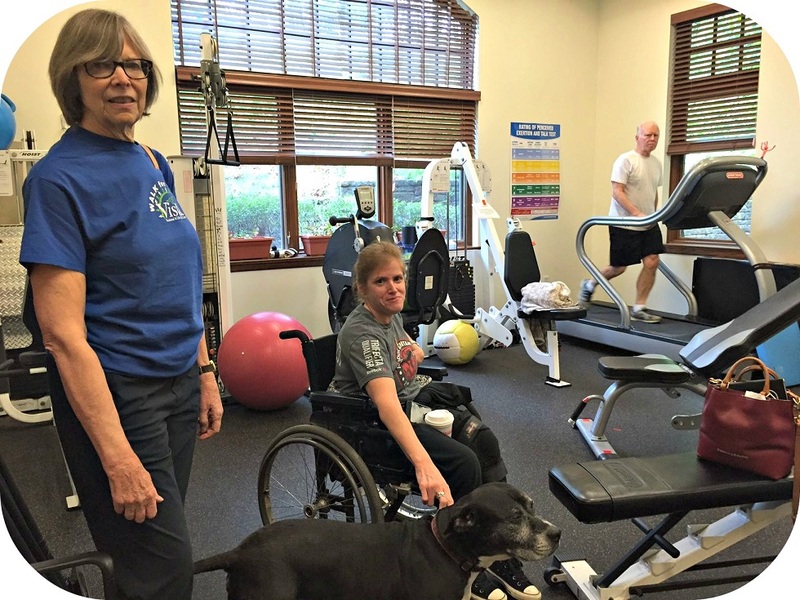 This entry was posted in Local politics, Organizations, People and tagged Lynn Goldberg, Martha Aasen, Sue Pfister, Westport Center for Senior Activities, Westport Senior Center. Bookmark the permalink. I will hope our town supports this request and approves the money to enhance Westport’s senior center. Westport needs to support our seniors. A lot of money is spent in Westport for our schools, sports and educations. The amount of money in this request, for the Senior Center, is small compared to the amount Westport pays for these other programs. It is only fair and right that our seniors see all of us stand up and support them. Please supply an address where we can send personal donations to help jumpstart this much needed project sooner than later. Great idea Joanie. See you at the Center in a few years! Personal donations may be made out to Friends of the WCSA with the word Enhancement in the memo line and mailed to 21 Imperial Avenue. Seems like a no brainer. We missed a real opportunity when it was decided that the YMCA couldn’t be built on Baron’s South in conjunction with the Senior Center – would have been a real slam dunk since I suspect the Y is only moderately utilized during the workweek days. Actually, the Y is quite well utilized during workweek days. Between childcare, fitness classes, the cardio center and pool, it is VERY active.